The yoga classes offered at The Center for Holistic Healing are intentionally different from those you will find at a large yoga studio or at a fitness focused facility. We offer a variety of specialized and small yoga classes that are designed to appeal to the needs of a particular range of students. Many of our yoga students are trying yoga for the first time, retired, struggling with anger, grief, PTSD, depression or anxiety, recovering from a trauma history or those with physical limitations. Our students are often seeking to experience the emotional, stress reducing and mental benefits of yoga as well as the physical benefits of balance, strength and flexibility. The work participants do in these classes promotes self-awareness, emotional healing and supports the mind-body-spirit connection. Participants delve deeper into their own lives and growth because of the self-awareness experienced and promoted through yoga. Classes are usually limited to 5-6 students to allow for personal attention for all students. 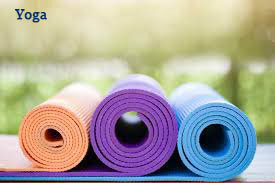 Individual yoga sessions are available for those interested in personalized classes or those who may be uncomfortable with a class room environment. Our instructors include Julie Barrier, Laura Pustizzi-Toro, and Heather Mask.